Molly (Mary) Brant and her younger brother, Joseph, were in their teens when they first came to know William Johnson. The brilliant young Irishman saw qualities in them both that intrigued them. The family lived in the best house in the village of Canajoharie on the Mohawk River, and both children had some education. Molly was both beautiful and clever. 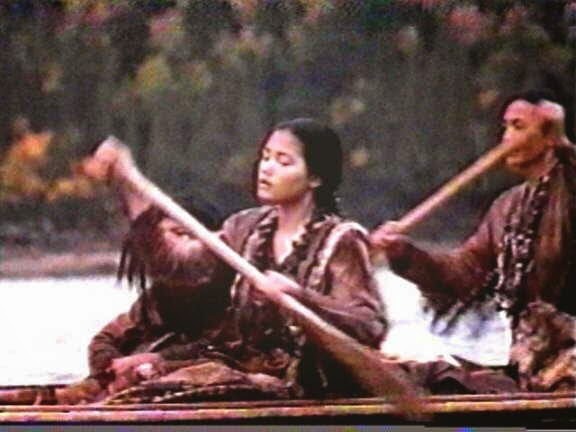 Early on, she took a role in Six Nations negotiations with the European colonists. In 1754, when Molly was 19, she accompanied her stepfather and a delegation of Mohawk elders to Philadelphia, where the men were to discuss fraudulent land sales with colonial leaders. Along the way in Albany, an English officer named Captain Morris, the nephew of the governor of Pennsylvania, declared himself to be in love with Molly. However, nothing came of this romantic meeting. Five years later Molly became the partner of William Johnson, now Superintendent of Indian Affairs for the northern colonies. They remained together until William's death in 1771. 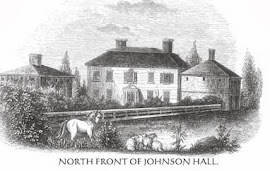 Molly's brother Joseph, younger by eight years, was sent by William to Connecticut to be educated at Eleazar Wheelock's school, the forerunner of Dartmouth College. Joseph was to have continued his studies at King's College in New York City, but the Pontiac Rebellion upset those plans and Joseph returned home to the Valley. Joseph became an important military leader. When he was little more than a boy, he fought alongside William Johnson at the Battle of Lake George. Later he took part, again with William, in significant military ventures at Fort Niagara and Montreal. For his bravery, the British awarded him a silver medal. He held the rank of Captain of the British superintendent's Mohawk warriors throughout the Revolutionary War. At the war's end, he led a large group of Iroquois exiles and loyalists to settle on the banks of the Grand River to the north of Lake Ontario in Canada. This website is about George Johnson, part Mohawk, part white, and for a brief time, barely in his teens, a Mohawk warrior in the American War of Independence. When the American Revolution came to the Mohawk Valley, what happened to the eight children of the most powerful couple in Upper New York State, Sir William Johnson and Molly Brant? 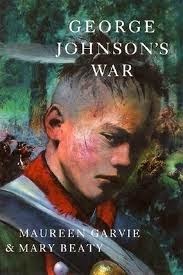 This blog accompanies the book George Johnson's War, a novel based on real people and real happenings.